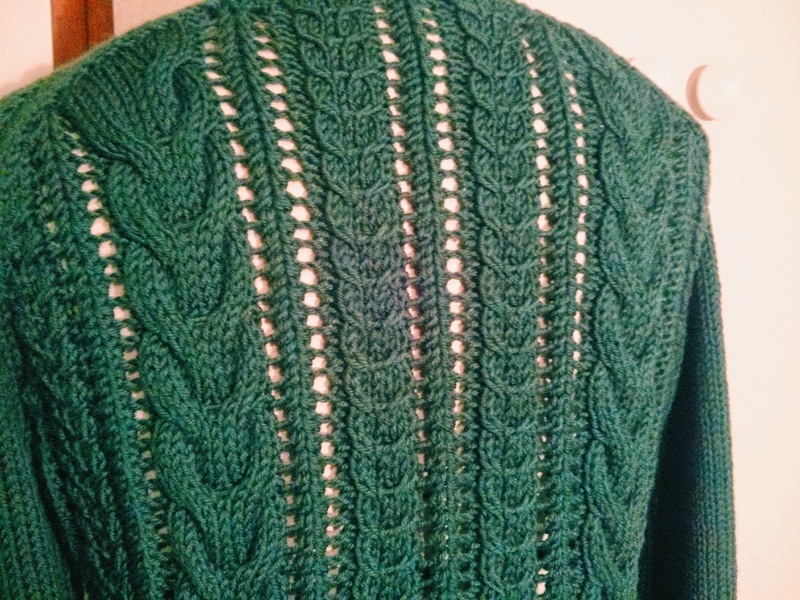 Bray Cabled Pullover is Complete! 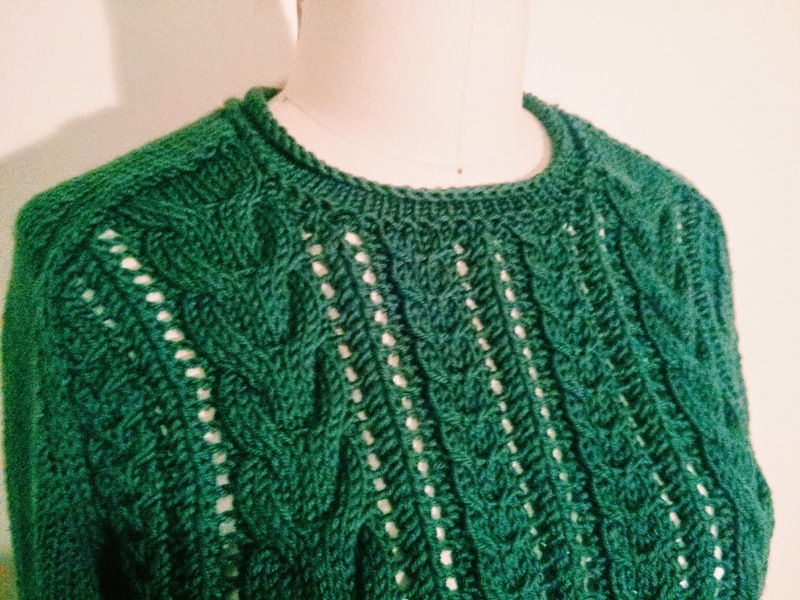 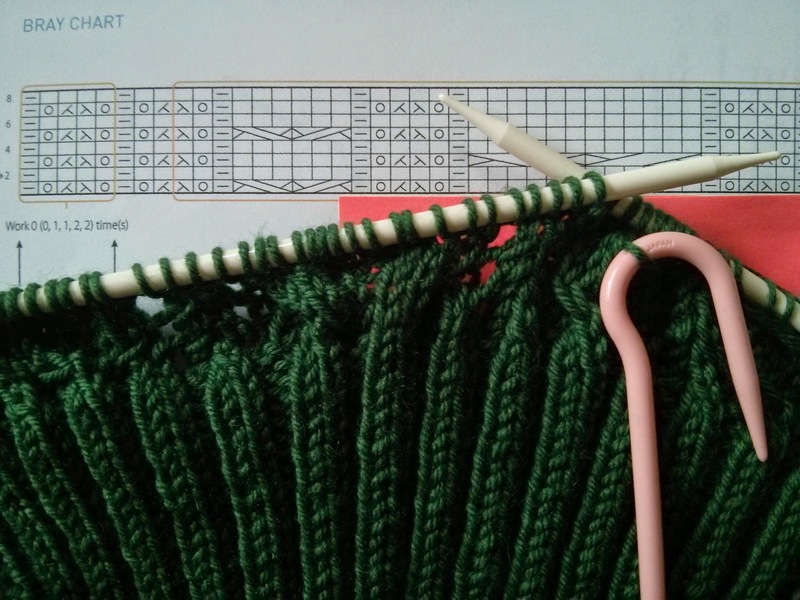 I spent this afternoon seaming together the Bray pullover. 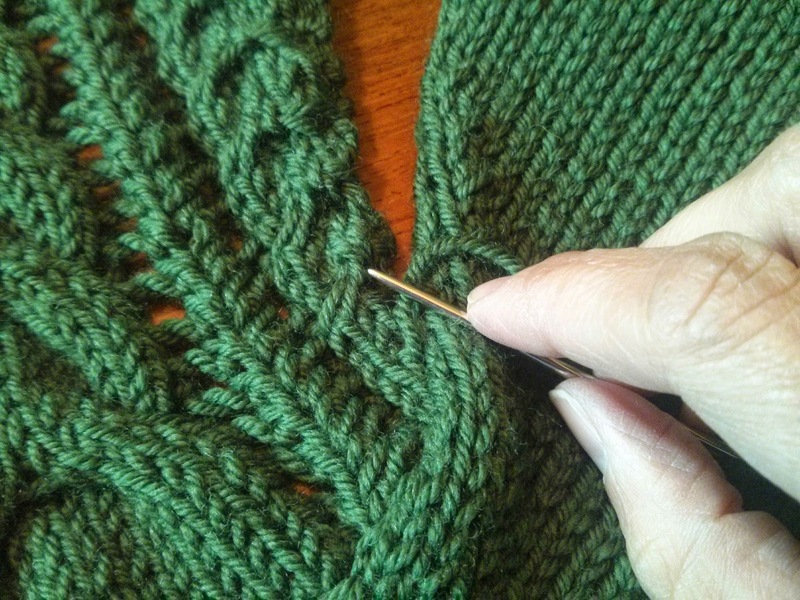 It came together quickly and there weren't many ends to weave in. 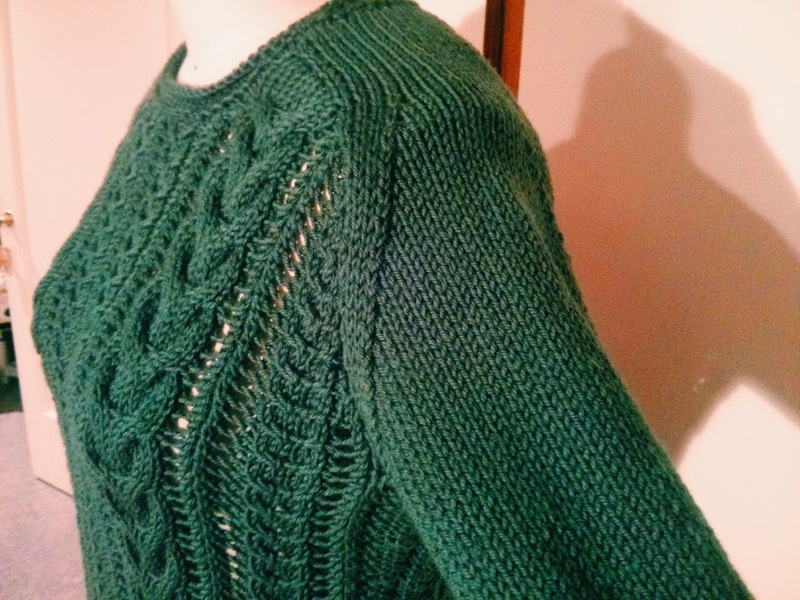 I'm really happy with how this sweater turned out! 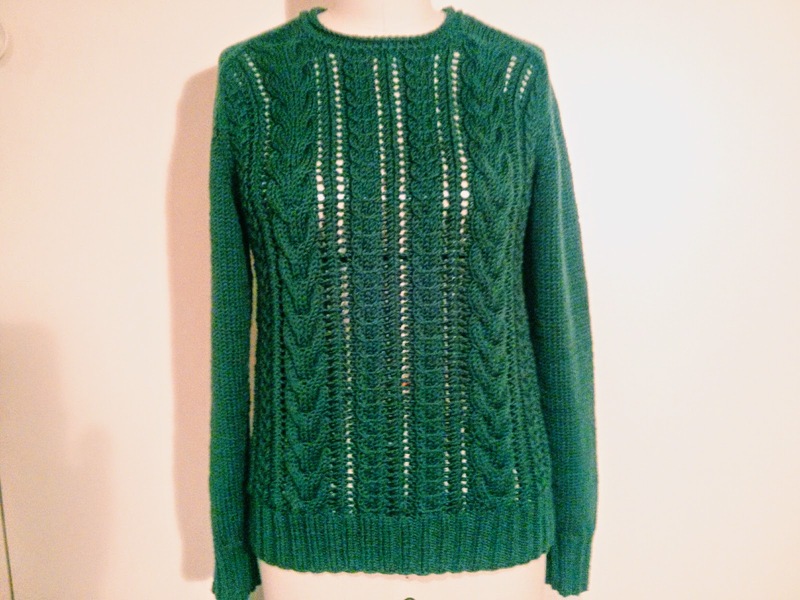 The last sweater I knit was back in February, so this was a satisfying project. 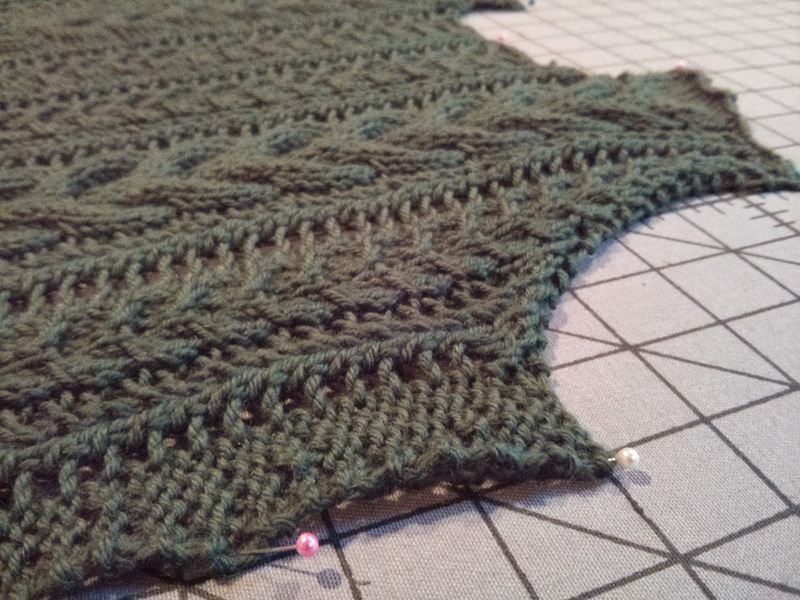 It was a fun knit and I love the cable and lace pattern, as well as the slightly fitted shape (very flattering) and the saddle shoulders. 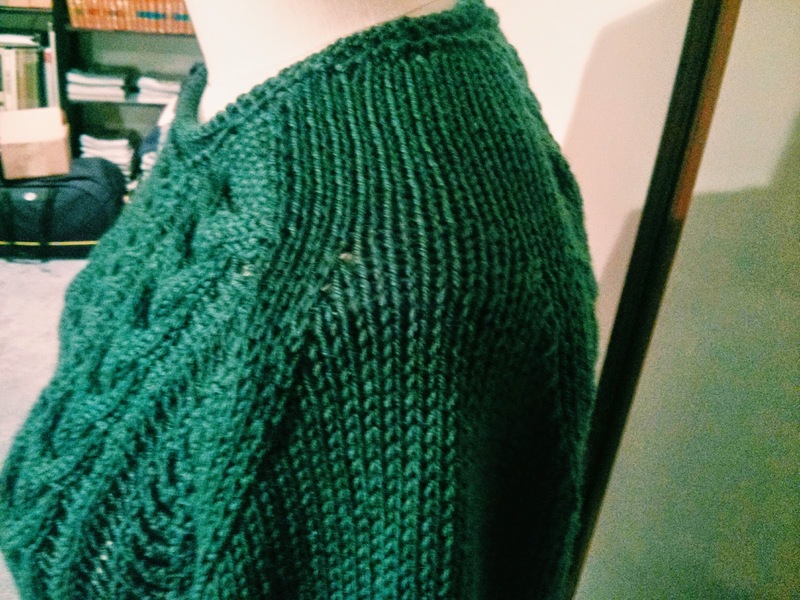 My modifications: I lengthened the sweater by a couple of inches and mistakenly seamed the sleeves with the stockinette stitch on the right side instead of the reverse stockinette as called for in the directions. 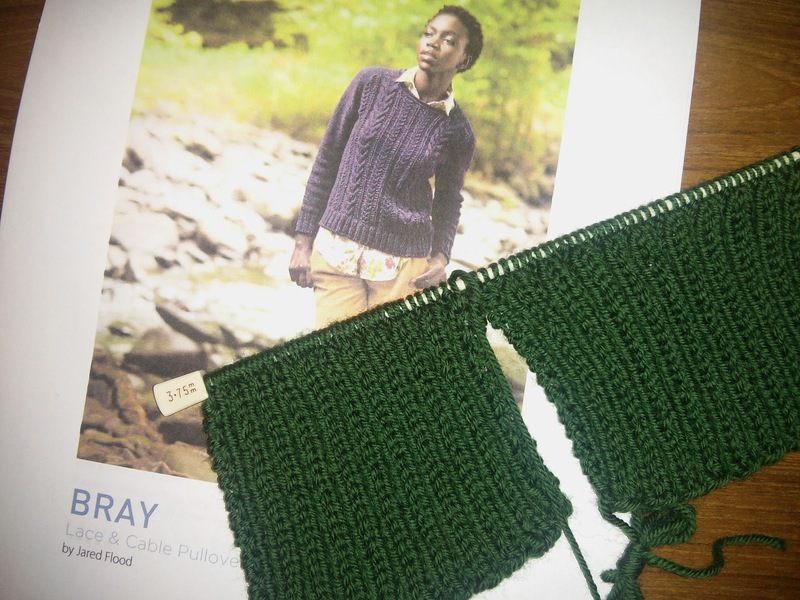 I wasn't paying attention when I began seaming the sleeves to the front and back and didn't notice that I had placed them incorrectly until after one sleeve was already done. 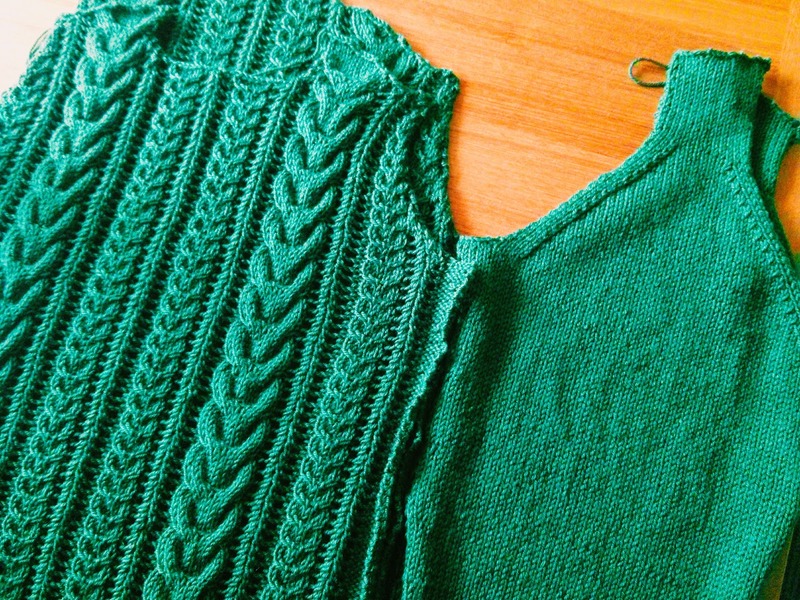 Luckily, there isn't really a right or wrong side to the sleeves and I think the sweater looks fine. 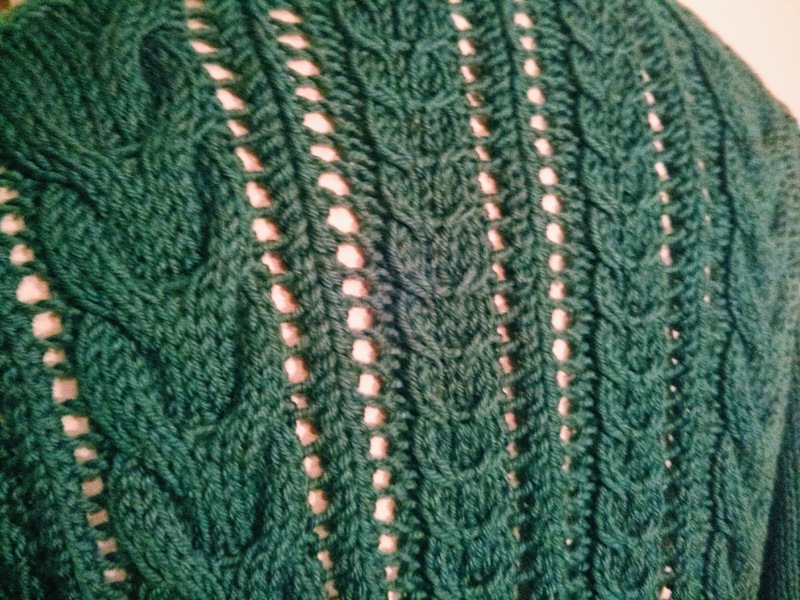 In fact, I rather like being able to see the decrease detailing on the shoulders. 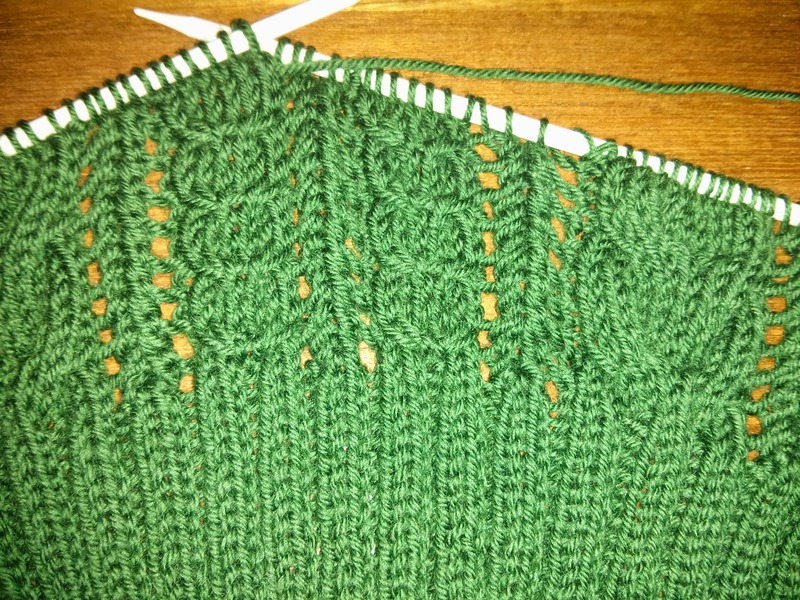 Thumbs up for this pattern! 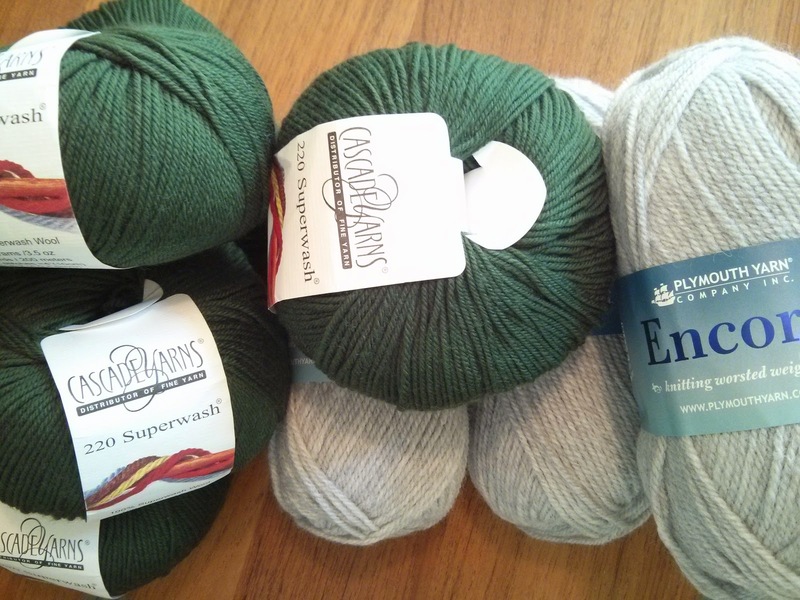 PS There are so many different color variations of the yarn in these photos, but it's a bright army green best represented in the first photo below.